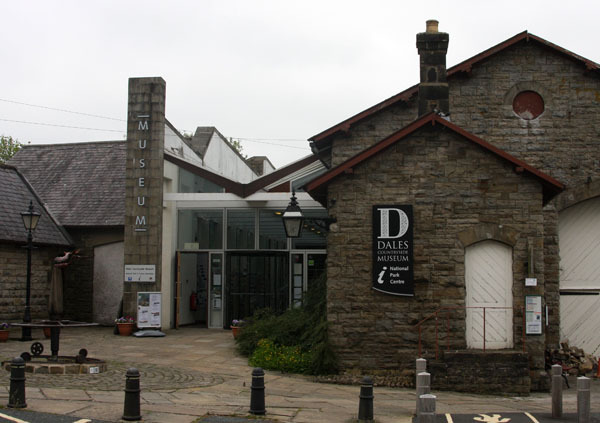 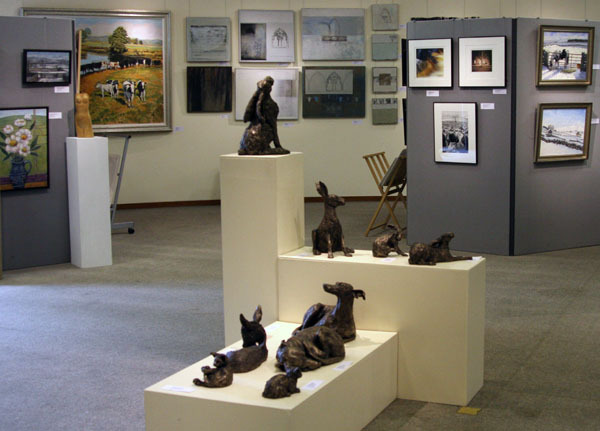 The Dales Countryside Museum in Hawes is the venue for an exhibition of work by artists, photographers and sculptors that has been inspired by the Yorkshire Dales. 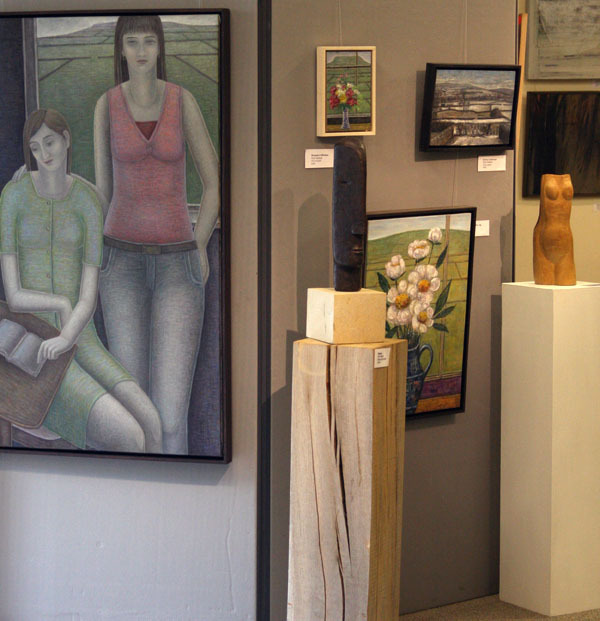 The exhibition runs until June 30. 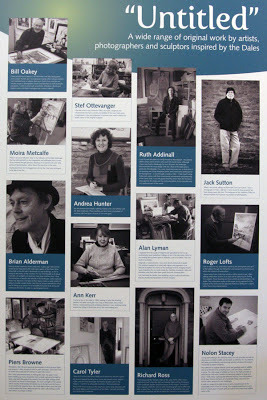 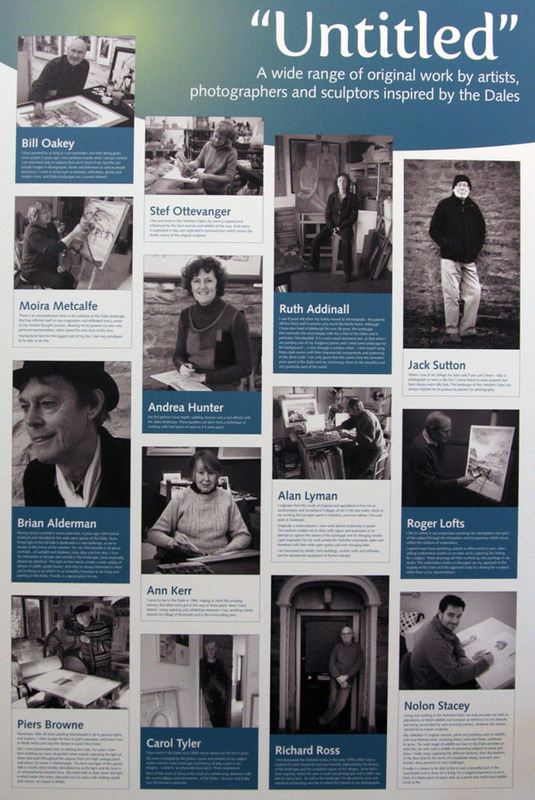 Works by fourteen artists have been on show since early last month. 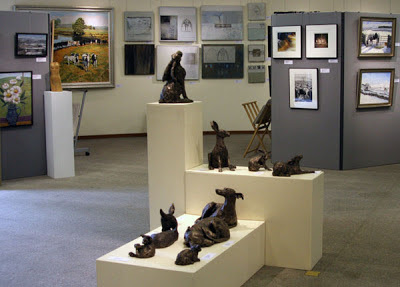 A mix of works on display. 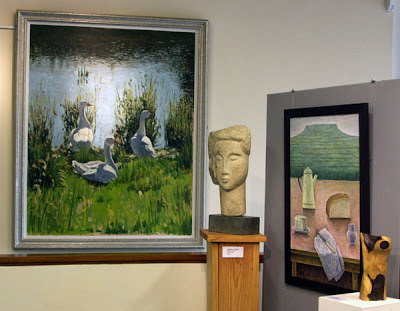 Brian's 'On Carperby Pond' is on the wall in this photo. 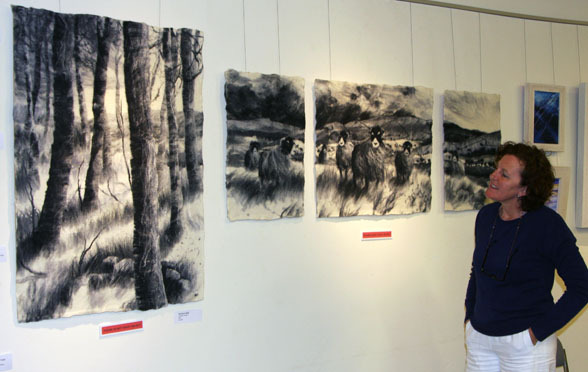 Andrea Hunter explains how she constructs her felt pictures by working with fine layers of wool as if it were paint. Her website is here.